Spring colour and a profusion of scents in the replica medieval herb garden at Stafford Castle. Engaging your senses is the best way to experience history. Watch a castle documentary (or visit one in person) and you’ll travel into the Middle Ages. Touch the rough stone of the 1831 version of London bridge and you’ll stand above the Thames despite the fact that it spans the Bridgewater Channel canal at Lake Havasu, Arizona. Smell the aroma of lavender and lace-gloved ladies will walkl through your imagination. Listen to an antique music box and travel into a bygone era. 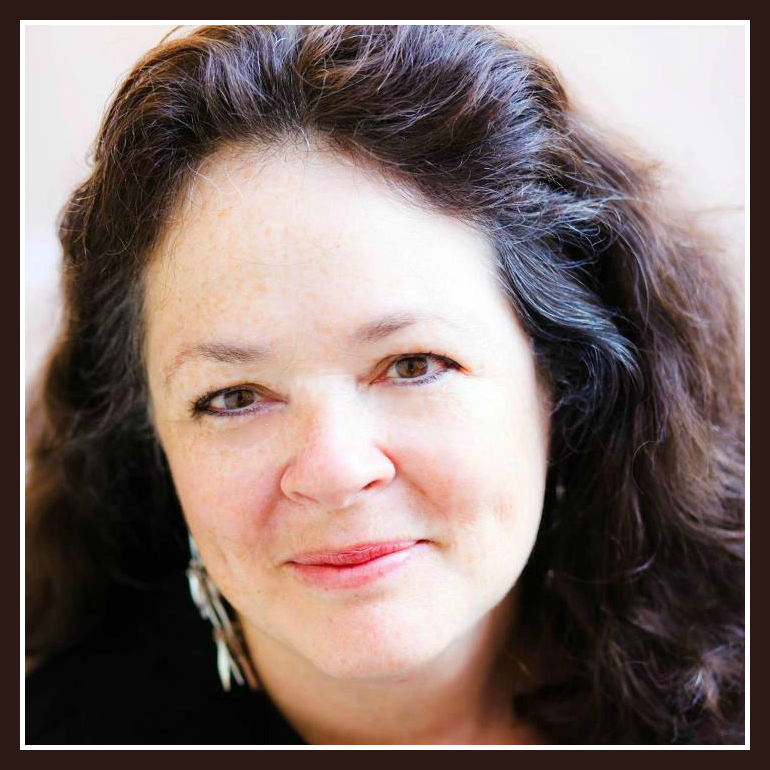 Escape with Janalyn Voigt into creative worlds of fiction. One of my favorite ways of connecting with the past is through sense of taste. I love to cook and have an affinity for growing herbs. The medieval herb garden I planted has survived the intrusions of life that kept me from tending it for several years. That makes such a garden perfect for a busy author. If you have similar demands on your time but still want to enjoy gardening, planting a medieval herb garden is a good way to go. 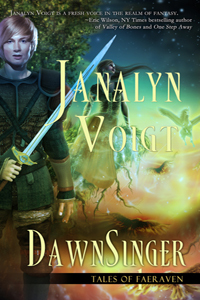 Note: DawnSinger (Tales of Faeraven, book one) was selected for the Amazon Monthly Ebook Deal list for March 2019. This book is on special through March. Read the description and follow the link at the end of this article. While vegetables and grains were cultivated in the fields, tending and preserving herbs fell to the lady of the manor. Herbs grown in medieval times fell into three categories: culinary, medicinal, and household. The most useful crossed categories. Herbs were valued far more in the Middle Ages than they are today, particularly the medicinal variety. Culinary herbs enlivened the palate but weren’t eaten for taste alone. They provided necessary nutrients during the winter when greens were scarce and could also disguise rancid meats. Household herbs like lavender, rosemary, and pennyroyal were used to repel pests and freshen the air. I suggest that you do your research and consult a qualified professional before growing herbs for medicinal use. With proper guidance, growing fresh herbs can be beneficial. You should know that some (such as rue) mentioned here are considered toxic in modern times. Also, it’s possible to overdose on willow bark and possibly others I’ve listed. I am not an herbalist. My goal is not to advise you on your health needs. This article is meant only to impart information about herbs in history. Medicinal herbs popular in the Middle Ages included clary sage, chamomile, comfrey, dandelion, feverfew, hyssop, lavender, rue, sage, peppermint, goosegrass, tansy, willow bark, and garlic. Feverfew and willow bark helped with headaches. Lavender, sage, and peppermint aided the digestion. Comfrey, and goosegrass mended broken bones, cuts, and lesions. Dandelion, hyssop and rue were given as purgatives. Clary sage (also known as ‘clear eye’) found a use as an eyewash. Chamomile’s sedative effects countered sleeplessness. 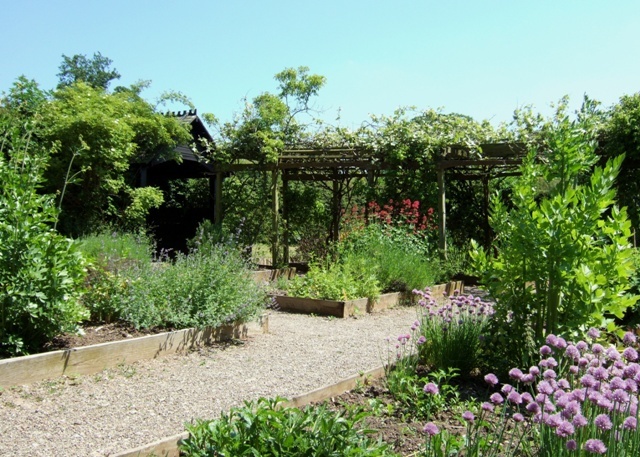 Culinary herbs grown in medieval gardens. Basil, curry, dill, cumin, lavender, coriander, rosemary, sage, savory, oregano, and tarragon made their way into the kitchen. Many were dried for winter, but others (like winter savory) flourished despite cold weather. To provide variety in drab winter months, cooks also relied upon rosehip and other herbed jams and jellies. Household herbs popular in the Middle Ages. Lavender, rosemary, and sage show up again in this category. Along with citron, pennyroyal, and parsley, they sweetened the air and deterred pests. For ideas, search online for images of your ideal garden. You’ll find pictures and descriptions in Plan a Medieval Garden, a previous post I wrote on this topic. But then there is Kai, a guardian of Faeraven and of Shae. Secrets bind him to her, and her safety lies at the center of every decision he makes. On a desperate journey fraught with peril and the unknown, they battle warlike garns, waevens, ferocious raptors, and the wraiths of their own regrets. Yet, they must endure the campaign long enough to release the DawnKing and the salvation he offers into a divided land. To prevail, each must learn that sometimes victory comes only through surrender. Such a nice post to read on a chilly March morning where our thermometer is sitting at 14!!! Thanks for giving me some ideas! Looks like a wonderful tourist attraction.